Special Days Camps exists to provide a safe and memorable camping opportunity in a medically supervised environment for children who have experienced cancer and their siblings, servicing the entire family. We offer activities of a traditional camp, adapted to meet the special needs of our campers. 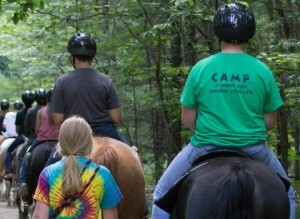 Special Days Camps is the second-longest-running oncology camp in the world. Over the years our service to our families have grown. Check out what cool programs we have to offer. Our activities are intentionally designed to promote self-esteem, confidence, friendships, teamwork and leadership. Campers are given the opportunity to challenge themselves and develop life skills as they move through our programs. Developing these skills can help them successfully meet the challenges of treatment, school, work and family. After attending Special Days, campers bring home more than just dirty laundry… they bring home unforgettable memories and long-lasting friendships. They bring home tales of tasks accomplished that before were thought of as unattainable. They come home feeling more confident in themselves and more secure with their illness. It is amazing how one week at Special Days Camps can truly make a difference in their lives! My son met a counselor that is a cancer survivor and it helped him cope with his illness and it gave him hope for the future. Camp is a very special word especially special days. C-A-M-P that just stands for wonderful, great, special, fun, exciting, family, friends, happiness and loving. Oh, and did I forget about cancer, well that’s not important at all. Camp will never be about cancer. But it will be about just normal kids just doing normal fun things and playing with just normal friends. My daughter always gets pushed aside because attention is focused on her brother, the patient – but at camp, attention was on her. She loved it! Special Days Camps has helped my son build self-esteem and independence by knowing he can go anywhere and not be intimidated because he’s different. Camp is very special to me because it helped me learn how to stop always thinking about me and helped me to start putting others first. To be able to not worry for a few days really helped me – knowing my daughter was so well taken care of was a blessing. We were 3 months into treatment when the doctors and nurses told us we needed to go to camp. The idea of sending a kid on chemo to camp seemed unrealistic but we were persuaded and, with a little trepidation, dropped the boys off at camp that summer in 2001. They loved it and were hooked. I have no qualms at all in saying that Special Days has helped turn them into the young men they are today. For that, we are forever grateful. When I tell people about camp I say that it is an amazing place for fun and to meet new friends. What we do at camp is always non-stop fun and non-stop new experiences and non-stop new friends. We want to thank you and every Special Days staff member and counselor for the wonderful gift that you give to our daughter and each child in attendance. Thanks to all of your kindness, planning and hard work we know that she will come home on cloud nine. It has been hard for her to have gone from being a sibling to being an only. At camp, she can just “be.” That is why she finds so much joy there. You people, and all the other children you lift up, are her family. Both of our children have been so positively impacted by Special Days.